Yes. 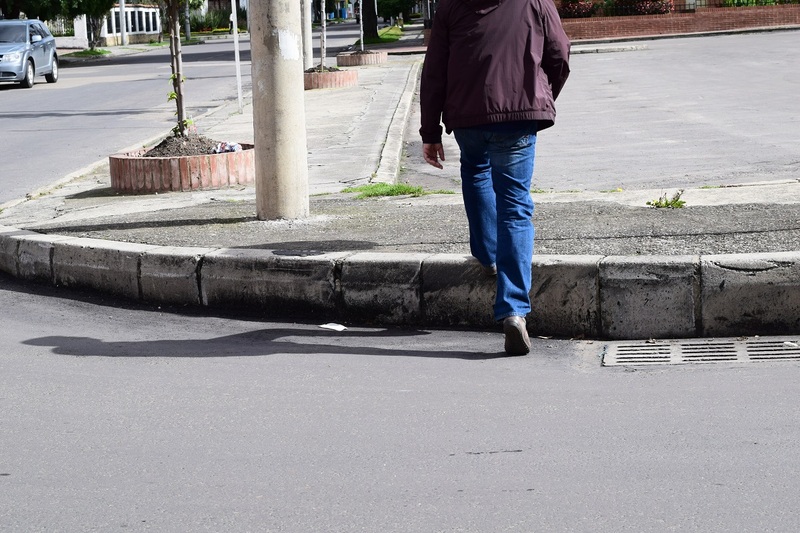 I wrote about sidewalks in Bogota. They were quite an essential part of my life as a mother in the Colombian capital. The sidewalks in Bogota are uneven, bumpy and not stroller friendly. It is not easy to walk on them as they are quite high in some places and there are no pedestrian ramps. A few times I had to stop, turn back and look for a better way to continue walking with the stroller. 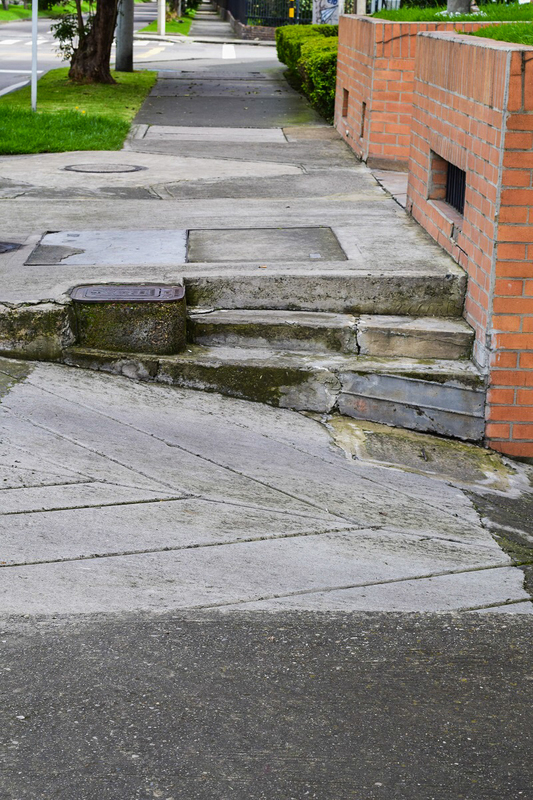 The reason why was that all of a sudden I saw… steps on the sidewalk built on the entry ramp to the parking. Climbing them with the stroller was impossible. 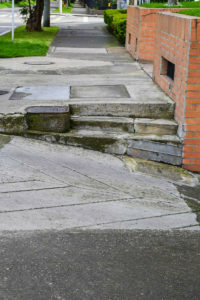 On some streets, the administration of a building is responsible for the “style” of the sidewalk they have in front. This means that every few meters the sidewalk is simply different. Or if there is no building or ‘’owner’’, the pavement is simply not taken care of. 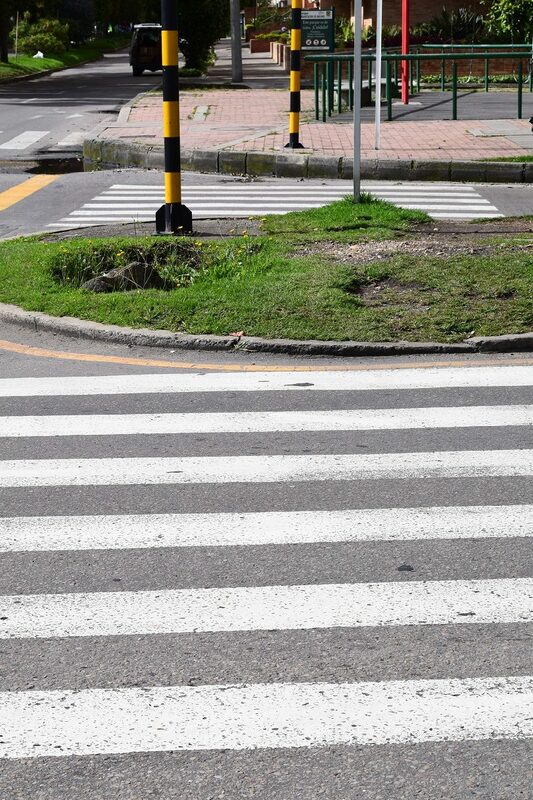 In some places, I found the sidewalks in Bogota very high and with no ramp. I found it easier first to turn out and get off the sidewalk with the back wheels. Once a pedestrian saw me doing it and came running to help to get down. He even crossed the street with me to help me to get on the sidewalk on the other side. Although it was quite a ridiculous situation, but how nice of him! 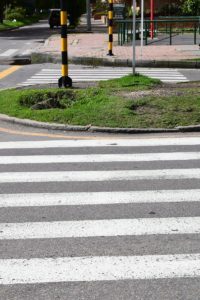 In other places while crossing the street … a traffic island appeared in the middle of the road. It was hard to pass it, not to mention the security. After few days of coming back home from a walk with my baby in the stroller, I was exhausted. On the other hand, I realised that with all the efforts I make, I would not need to go to the gym ;-). It is important to mention that the altitude of Bogota (2640 m above the sea level) makes you feel tired much faster. I am a mom of two, in love with Colombia and Latin America. I love our family travels, photography and Colombian fruit. I like Indian and Thai food, French croissant and pain au chocolat, Chilean and Argentinian wine. I don’t drink coffee but I love the Coffee Region in Colombia as a weekend gateway.